Heart Family Trip to Turtle Back Zoo! Join us Saturday, May 14th from 11:00 AM – 4:00 PM at the Turtle Back Zoo in West Orange, NJ. 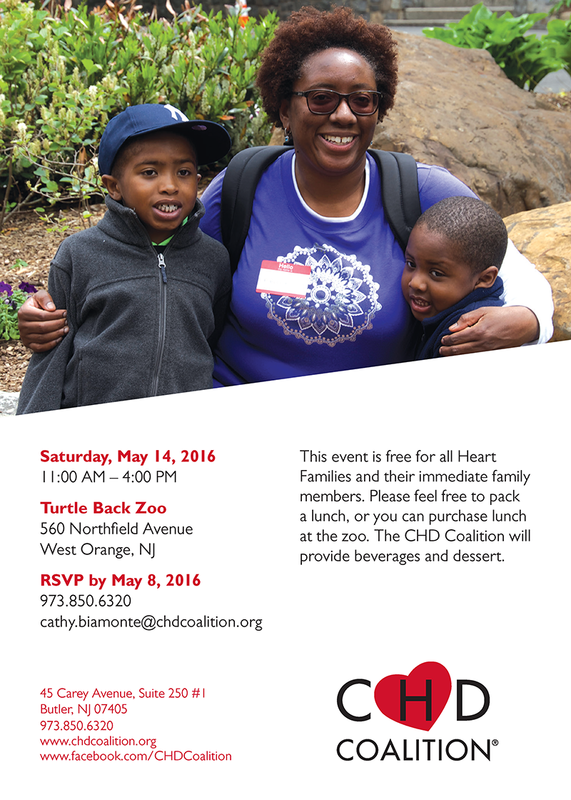 This event is free for all Heart Families and their immediate family members. Please feel free to pack a lunch, or you can purchase lunch at the zoo. The CHD Coalition will provide beverages and dessert.